Happy Belated Memorial Day!! Memorial Day signifies a couple things….the most important being the unofficial start to summer. Did you think I was going to say that I can finally wear my white pants again? Come on now…I was only half thinking it. I feel like I have been waiting for Memorial Day since Labor Day last year, which is totally appropriate for this summer-minded Foodie. I spent the weekend in the Hamptons doing what I do best, eating of course. While I’m a girl who prefers the comforts of driving, I opted for the train this weekend to avoid traffic. 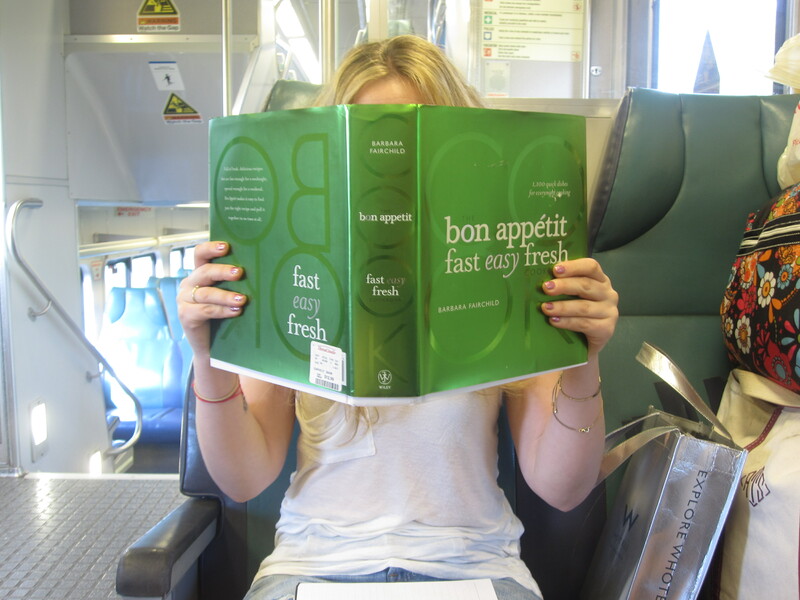 The train actually proved to be quite rewarding; I was able to catch up on a lot of recipe research! I’ll admit, I didn’t do much cooking this weekend, but I did a whole lot of eating. If summer had a mascot, and that mascot was food, it would totally be a lobster roll. So, guess what I ate this weekend…a lobster roll from where else but The Lobster Roll in Amagansett. Their claim to fame is that they invented the lobster roll that we all know and love today. I don’t know if it’s factual, but it’s pretty delicious. The Lobster Roll is a glorified seafood shack on Montauk Highway. They offer several lobster rolls, including the cold version you are all familiar with, and a hot version. Well this Bite-Sized Blonde likes her food like she likes her men, HOT. The hot lobster roll starts with a warm bun, toasted to perfection. It’s then topped with succulent lobster meat that is tossed in a warm butter sauce that has you forgetting how to spell mayonnaise. The bun gets a little soggy from all the butter, so to maintain that all-important crunch, I topped the lobster roll with sweet and crunchy cole slaw. Mmm mmmm mmmm. We also ordered popcorn shrimp and clam strips for the table. But quite honestly, I was disappointed in both. The shrimp weren’t deveined, and that’s not even the worse offense. Both the shrimp and clams were covered in so much batter; the taste of the seafood was lost. The service was better than average though, especially for a holiday weekend. So, a thumbs up to TLR. 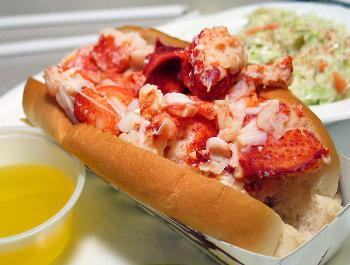 If you are out east, and craving a lobster roll, you now know where to go….